Based on a booklet produced by Neil Limbert and Reg Gillman for the British Federation for Correspondence Chess. Welcome to the fascinating world of correspondence chess! The player of this absorbing pastime can make new friends from all over the world and enjoy many exciting games of chess, all from the comfort of his own armchair. Playing chess by correspondence does not have the immediacy of chess over the board and anyone who expects the same kind of thrill will be disappointed. Nevertheless, there is much pleasure to be gained and many hours of interest. A game of chess over the board lasts for three hours or so and players may not refer to books or touch the pieces except to make a move in a game. In correspondence chess, a participant normally plays one game (or two) against multiple opponents at the same time, and the game(s) can last several months. The player can refer to books and move the pieces around at will while considering the moves. The number of games one commits to simultaneously varies from person to person depending on the time you have available. Some players only manage half a dozen at the same time whilst others may play fifty! The average is probably somewhere in the region of 15 to 20. With care to avoid silly mistakes or clerical errors, the correspondence chess player can achieve a considerably higher standard than he or she normally does over the board. Paradoxically, this often has the effect of improving his/her standard of play over the board. The advent of the webserver has revolutionised the world of correspondence chess! The vast majority of international play now takes place by webserver which has removed many of the potential problems which sometimes faced postal chess. The player usually makes his move on a screen-based chessboard using “drag and drop” with the mouse. An email is automatically produced advising the opponent of the move played with time taken etc. No more moves are “lost in the post”, the chance of clerical error is much reduced, and all the administration (time-keeping etc) is done for you. Therefore all the player has to do is concentrate on the game! All WCCF events are played on the The International Correspondence Chess Federation (ICCF) webserver, which you can find at https://www.iccf.com/ Here, almost all international play takes place – World Championships, Team Olympiads, qualification tournaments, friendly international matches and many more – the variety of tournaments available to every type of player (from beginner to expert) seems endless. The traditional method of correspondence chess! WCCF do not organise postal events, however some of our member organisation still run tournaments and games on a postal basis. It is also still possible to play internationally by post through ICCF, providing the player does not mind the expense. Each move is recorded in turn on a postcard, or a specially designed scorecard (such as the ones used by the BCCA – British Correspondence Chess Association) which can fit in a window envelope and be posted back and forth between the players. Moves and dates must be clearly recorded and a record kept by both players. Moves can be “lost” in the post thus delaying the game. Clerical errors. Setting up the board incorrectly, writing down the wrong move or recording an opponent’s move incorrectly. Despite these disadvantages, postal play continues to be very popular because it is easy to use and requires no computer software. Whichever system is used for sending the moves, it is very important to keep a careful record of the moves (and dates). Score books or scoresheets available from most chess suppliers are useful for this purpose but specifically designed correspondence chess stationery is even better. Most Federation members can supply such stationery to you. Of course, many players now use chess software such as Chess Base or Chess Assistant to maintain records of their games. This has the obvious advantage of taking the ongoing game to its present position with one click of the mouse, rather than having to play through the whole game each time on a board. Indeed for server players, most record keeping is now done automatically. Those who are thinking of taking up correspondence chess often wonder to what extent they would be expected to correspond with their opponents. The answer is, only as much as they and their opponent want to. The expected courtesy at the beginning of a game is a comment such as, “Nice to meet you. I look forward to a good game.”(The correspondence chess equivalent of shaking hands). If you want to expand on this adding a few personal details, it can do no harm, but do not be disappointed if your opponent does not respond in kind. Many players do not have the time or the necessary fluency of the pen. The importance of courtesy cannot be stressed too much. Courtesy in correspondence chess is not just being polite when occasion demands. It is observing the rules, replying promptly, giving advance information on holidays and resigning a game when it is lost. Whilst on the subject of resigning, it is the sign of a weak player to continue a lost game, but it is an act of discourtesy to tell an opponent he has a lost game and ought to resign. Some players feel it is unfriendly to date their moves or claim the game on time. This is not so. The rules should always be followed and it is far more of an unfriendly act to ignore them. In postal chess, never ask to take a move back yourself, nor allow an opponent to do so. Players new to correspondence chess often wonder whether it is OK to use a computer. Computers are wonderful tools: the software available for the storing and recording of games, database game collections, electronic transmission of moves and the internet webserver have all had a massive positive effect on correspondence chess. The use of a computer for these reasons is totally acceptable. The use of a computer to assist with analysis is much more controversial, and is a tricky subject to give guidance on. Some Federation members (such as SchemingMind) have a rule banning the use of computers to assist with analysis. But such a rule is always based on a gentleman’s agreement and is practically unenforceable. As a result, the ICCF have taken a different approach of tacit acceptance and realism. Analysis by computers has not yet conquered the world of chess! They continue to make mistakes and are weak in various areas. In the ICCF, the strong correspondence player is one who understands the position and knows when to ignore the computer evaluation and go his own way. If two players use the same computer, the stronger player will invariably win and there is every reason to believe this state of affairs will continue. At the end of the day, players must play correspondence chess for their own enjoyment, so the level of computer-assisted analysis must remain a very personal thing. Experience has shown that a player who simply switches on the computer and plays the move recommended, will drift away from correspondence chess after a couple of seasons at the most. Why spend time, effort and money on a hobby if you have no input? The players who stick around year after year are the heart and soul of correspondence chess. So, obey the rules and enjoy the game! The ICCF is recognised world-wide as the governing body of correspondence chess. It lays down the rules and sets standards. The ICCF standard time control is 10 moves in 50 days. Given below is a flavour of the tournaments to be enjoyed. The promotion tournaments are organised into three divisions: Open Class, Higher Class or Master Class. Players new to ICCF generally start in Open Class and you can get promoted up the ladder by winning a section or by achieving a certain level of ICCF rating. Open Class and Higher Class are 7player tournaments (6 games) whilst Master Class are 11-player tournaments (10 games). After Master Class, the next step on the promotion ladder is to the preliminaries of the World Championships or the semi-finals of the European Championships. So, each and every player has a direct path to a World title! Just like our over-the-board cousin FIDE, the ICCF offers International Master (IM) titles, Senior International Master (SIM) titles and Grandmaster (GM) titles, as well as the "minor" titles of Correspondence Chess Master (CCM) and Expert (CCE). These are obtained by achieving Title “Norms” in qualifying tournaments. The International Arbiter Title (IA) may also be obtained. Holders of titles receive a certificate and a medal. ICCF titles are acknowledged by FIDE. To allow players the chance to obtain Title Norms, the ICCF offers regular Norm tournaments to players with a rating of 2300 or over. There are also Memorial and Invitation tournaments organised annually by various countries which sometimes provide additional norm possibilities. Every year the ICCF organises at least one of these events which are open to all. These tournaments are usually in three stages with the winners only advancing to the next stage. The World Cup has a glorious tradition in the ICCF and usually attracts the highest number of entries of any tournament. In recent times, the ICCF has also begun to organise Webchess Opens and Veterans only World Cups. These are unrated tournaments where the first few moves (the theme, generally a known opening) are compulsory in all games, and players play a black and a white game against each opponent. Depending upon the number of entrants, these tournaments can be in two stages – preliminary and final. Usually, 6 or 7 themes are started annually by webserver, and another 4 or 5 by post. Various team tournaments are organised by the ICCF including Olympiads for national teams. To be selected for your national team in these events is a great honour and something for all players to aspire to. It is not unusual for the top board of an Olympiad Final to be stronger (in terms of rating) than a World Championship Final! For those players lower down the rung, the ICCF Champions League is the ideal team tournament. 4 players per team and your team-mates can be of any nationality. Various divisions with promotion/relegation so all strengths of player are catered for. The Welsh team usually play 4 to 5 friendly matches per year against other countries. These matches can be as large or small as the number of players available: as the Welsh team captain is always on the lookout for new players, this is an ideal opportunity to represent your country. You play only two games (with White and Black) against one opponent and care is taken to try and match up players of equal strength, players of all strengths are encouraged to participate in these matches. The Welsh Correspondence Chess Federation (WCCF) is officially recognised by the International Correspondence Chess Federation as the national organisation representing Welsh players. WCCF is a consortium of British and international correspondence chess organisations which have Welsh members. The Executive Committee of WCCF consists of President, Secretary, International Secretary (who also serves as the Welsh delegate to ICCF), Treasurer, WCU representative, and a representative of each member organisation. The full WCCF constitution is available on the website. After a seventeen year hiatus, the WCCC will recommence in 2017, further details will be available on this website. 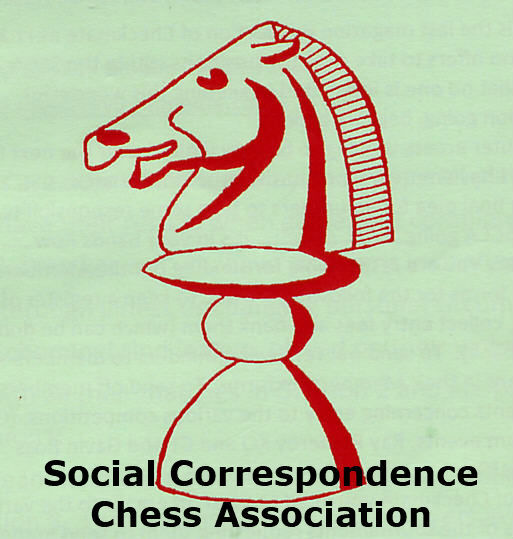 The British Federation for Correspondence Chess (BFCC) was dissolved in 2014, however British correspondence chess events still thrive, and are generally organised by WCCF, our sister UK national ICCF federations (The English Federation for Correspondence Chess and the Scottish Correspondence Chess Association), or other independent correspondence chess organisations such as the British Correspondence Chess Association. The BCCC is the premium British CC event and is organised jointly by WCCF, EFCC and ScoCCA. The tournament is held annually commencing on the 15 October, although entries usually have to be in by September 1st. The Championship section comprises 11 to 15 players and will determine the next British Champion. There follows a maximum of three Candidates sections (between seven and nine players) and as many Reserve sections as entries allow. Competitors play one game against each of the others in the same section, all the games taking place at the same time. The championship is open to all British residents and is placed exclusively by webserver. As the BCCC is considered by ICCF to be an international tournament, title norms are now available. The BWSTT started in 2011. The first two seasons were run under the auspices of EFCC. The tournament is currently organised by WCCF. Welsh interests are currently represented by teams from West Wales and East Wales. If you are a Welsh chess player and are interested by any of the above information, please contact the WCCF Secretary, Austin Lockwood ([email protected]), or the International Secretary, Russell Sherwood ([email protected]), who will advise you on the most appropriate events to enter. Alternatively you can register in ICCF as a Welsh player by going to https://www.iccf.com/ and clicking "New Player". We aim to contact all new Welsh registrations within a few days. WCCF offers all Welsh players free lifetime "National" membership, although you may wish to consider paying a small annual fee for "Premium" membership for additional benefits.